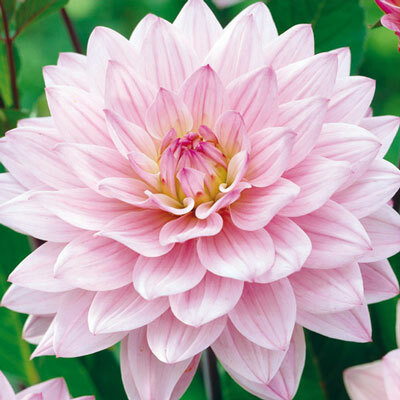 Soft, lilac blooms with a hint of gold at the center. 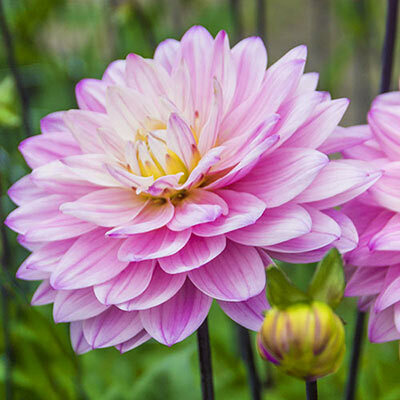 We first came across this series of dahlias while visiting the Verwer Brothers a few years ago in their trial gardens. They were developed for the cut-flower market in Holland because of their extraordinarily strong stems and almost iridescent colors. You will have to see them for yourself to truly see what we are talking about.